Gerri Trope Joecken gazed at her surroundings in Madison Park, pointing out her childhood home on Clarence Avenue and beaming with nostalgic delight. The 74-year-old Lakewoodite had not lived there in nearly six decades but still recalled the neighborhood fondly. Gerri Trope Joecken (second from left) poses in Madison Park with her childhood home in the background. 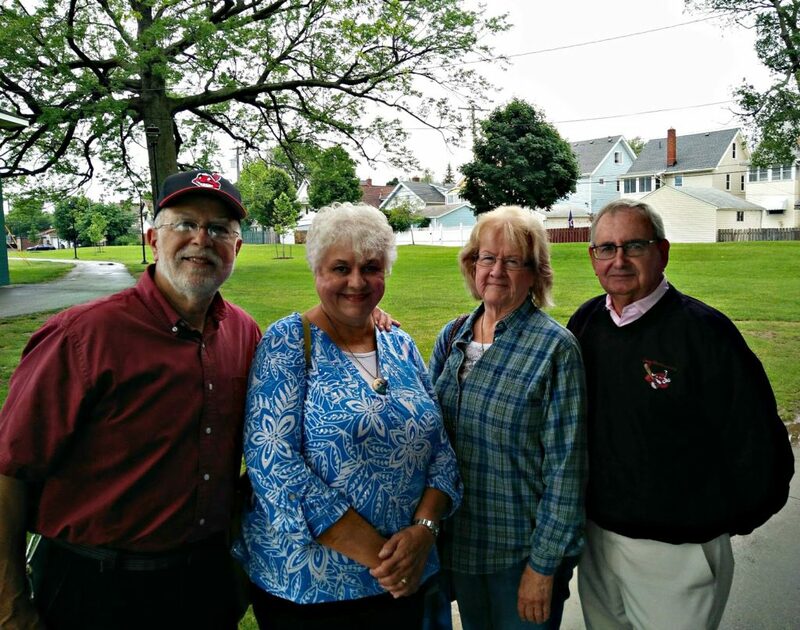 Joecken was hardly alone in her reminiscing on Sunday, June 4, as she joined a crowd that gathered for the 2nd Annual Historic Birdtown Picnic & Walk. Lakewood residents flocked to Madison Park from Quail, Lark, Robin and beyond to celebrate their neighborhood’s storied past. Despite an early rain shower, the collective pride of a unique working-class neighborhood remained on full display throughout the afternoon. 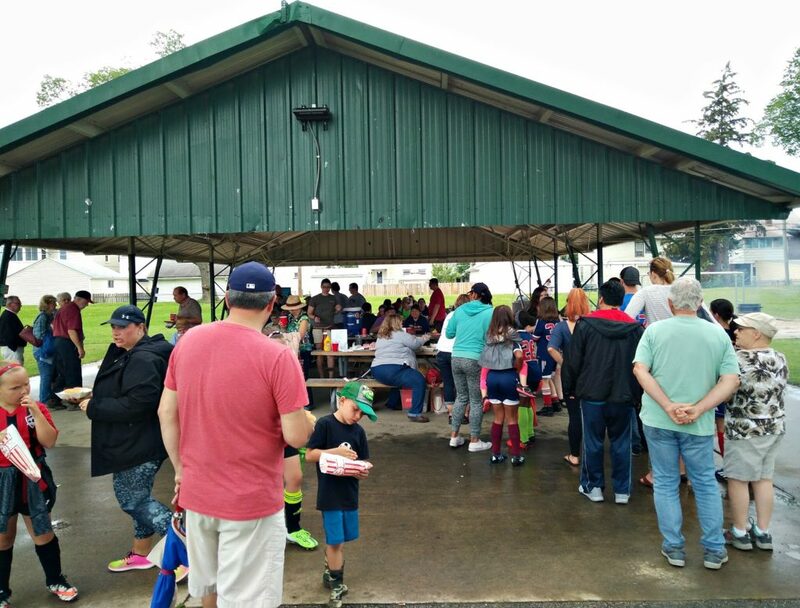 Presented by LakewoodAlive and the Lakewood Historical Society, the Historic Birdtown Picnic & Walk first drew more than 100 attendees to the Madison Park Pavilion for a community picnic complete with burgers and hot dogs, games, music and neighborly camaraderie. Complimentary refreshments were provided courtesy of Connect 2 Compete, a program of Cox Communications. A special thanks goes out to the Lakewood High School football team for assisting with the picnic, The Gorilla Lakewood for furnishing an industrial grill and the amazing group of volunteers who helped make the event possible. 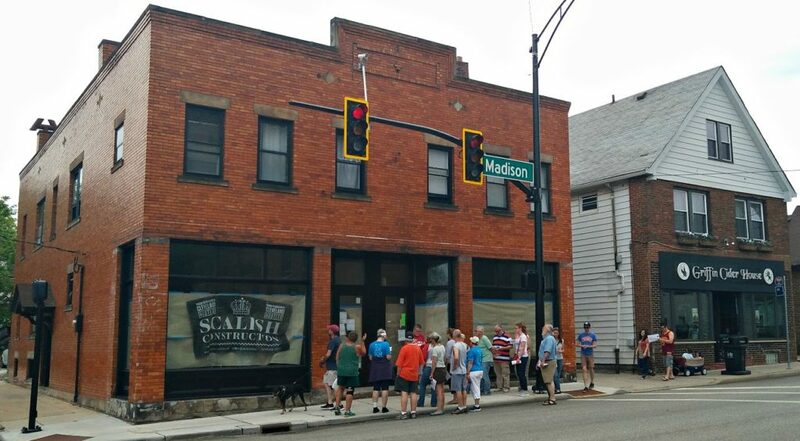 Following the picnic, attendees were invited to participate in guided walking tours of Birdtown’s Madison Avenue Business District led by volunteers from the Lakewood Historical Society. The mile-long tour delved into the neighborhood’s rich history, with participants encountering ornate churches and discovering the past lives of the buildings occupied by many of their favorite restaurants and retail establishments. The tour also included a trip inside the Museum of Divine Statues, a unique Birdtown attraction housing an eclectic mix of rescued sculptures from closed churches, as well as stained-glass windows and other artwork. Sponsored by Citizens Bank, the City of Lakewood, Dollar Bank and First Federal Lakewood, the Historic Birdtown Picnic & Walk was orchestrated by LakewoodAlive’s Housing Outreach Community Engagement Program. Through community outreach and engagement initiatives aimed at residents in low-to-moderate income neighborhoods, this program seeks to cultivate a heightened sense of pride and ownership. To learn more, contact the LakewoodAlive office at 216-521-0655 or visit LakewoodAlive.org. The walking tour was co-sponsored by the Program Committee of the Lakewood Historical Society to build awareness of this historic neighborhood. For more information regarding the Historic Birdtown Neighborhood, contact the Lakewood Historical Society at 216-221-7343.